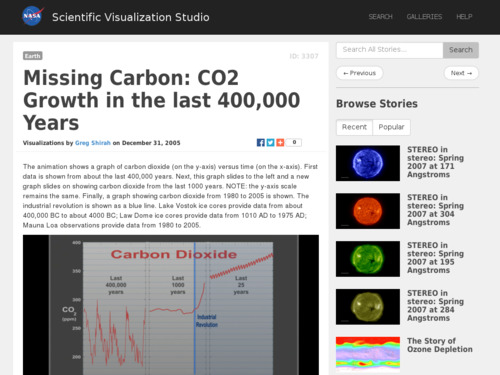 This NASA video reviews the role of the sun in driving the climate system. 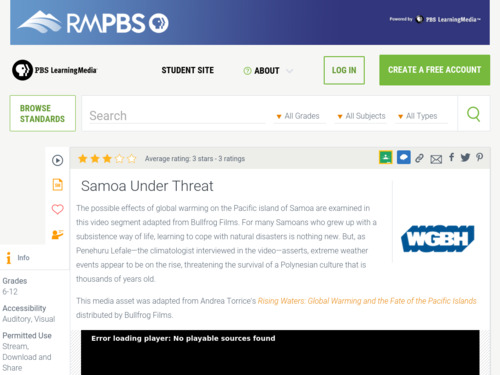 It uses colorful animations to illustrate Earth's energy balance and how increased greenhouse gases are creating an imbalance in the energy budget, leading to warming. 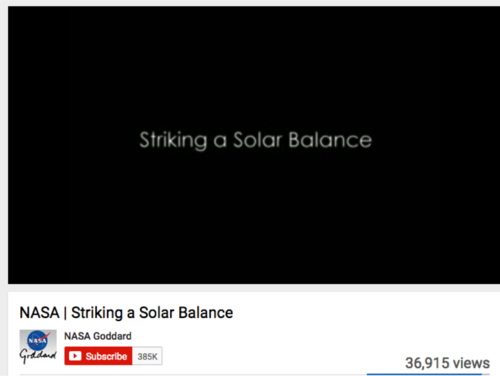 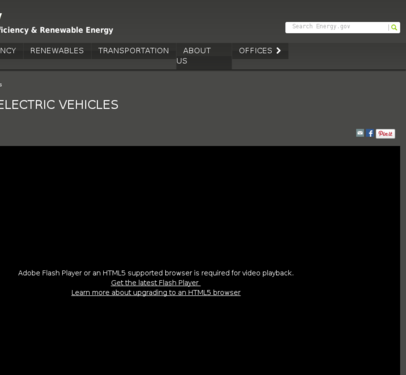 The video also reviews how the NASA satellite program collects data on the sun. 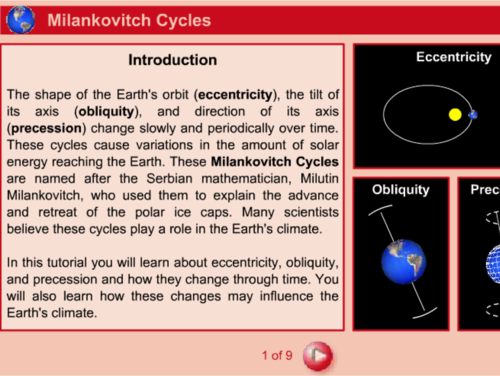 These animations depict the three major Milankovitch Cycles that impact global climate, visually demonstrating the definitions of eccentricity, obliquity, and precession, and their ranges of variation and timing on Earth. 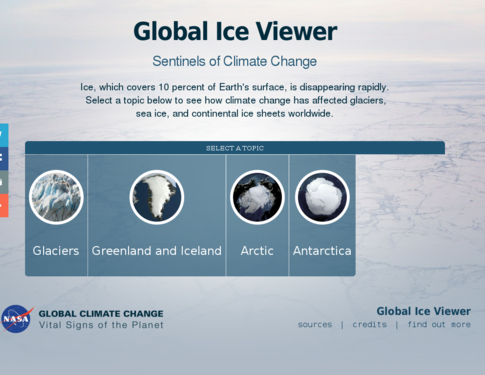 This visualization tool shows sea ice data from 1978 to the present. 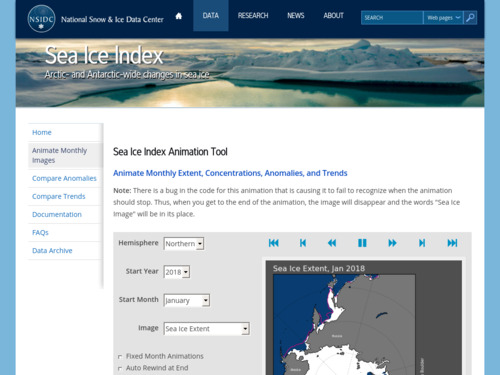 Selected data can be animated to show changes in sea ice extent over time. 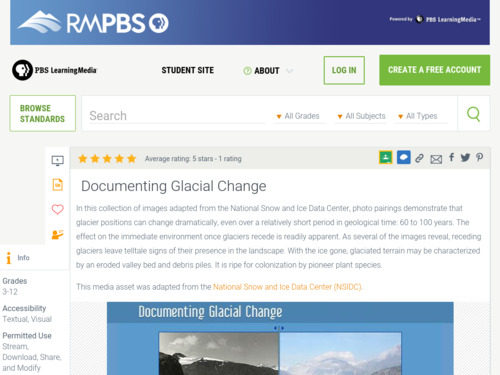 Data is added by the National Snow and Ice Data Center as it becomes available.